We are having a big debate here in the D household. After being in our house a year we have done a ton of work on the inside, but haven’t made our way out of doors as of yet. That’s about to change. Tomorrow we are changing out the front door. The problem is we are undecided on which one to go with. There are three problems with the existing set up. The first being that every other window in the house has the same pane design. Except the window in the front door has diamonds. The second being that our entryway is freezing all winter. This door has gaps, and I believe the large window is contributing to the cold as well. Finally, I can’t stand it. I find the whole set out of date. 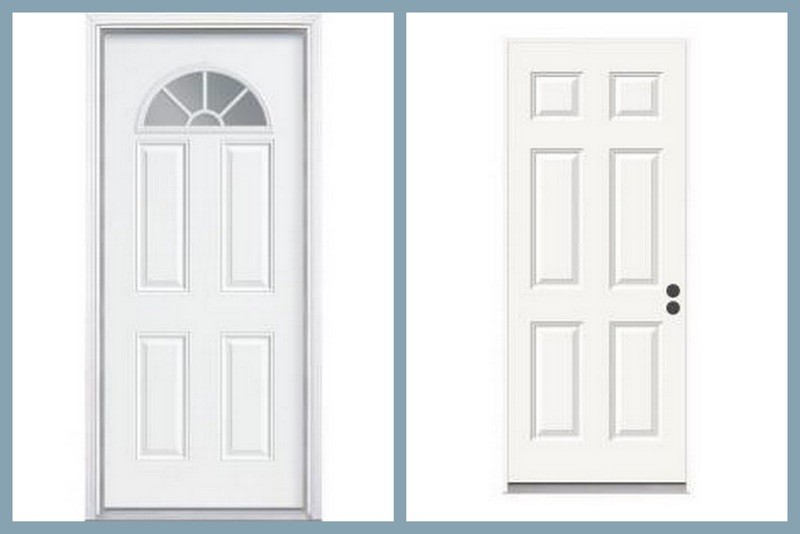 Between the boring screen door and the early 90s front door I don’t find it at all welcoming and “come on in”. 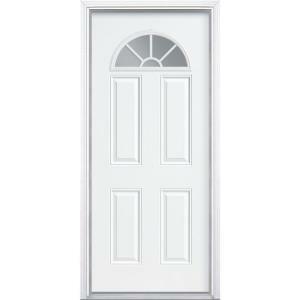 And John wants this door with the half moon window that will mirror the one above it. We are also changing out the screen door with the solid panel bottom to a new screen door that has the full window/screen. And let’s not even get me started on the handsets and hardware, as well as the color. Next year we plan on painting the whole house so that is yet another big discussion to be had. 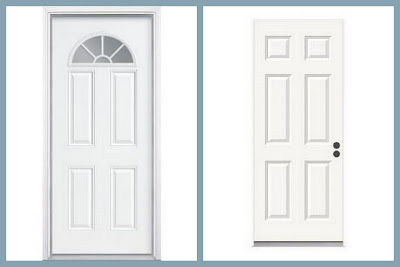 But for now, which do door do YOU think? Solid or with the window? I like the solid one- If you are looking to update with a fresh, new look! The other one is fine, if you plan on keeping the same look on the outside…..Either way, the extra warmth will be appreciated! I like it with the window because it mirrors the half moon mirror at the top of the house. 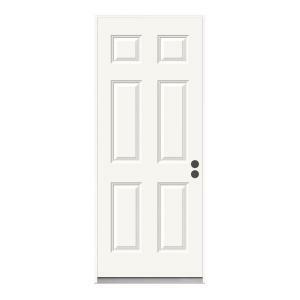 I say go with the solid door. With the windows on either side, you already have the means to peek outside to see who is knocking! I think the half moon looks better but windows also let cold air in easier. I like the one with the window. Not only does it match the half moon window at the top of the house, but it will let in some sunlight into the doorway/hallway.